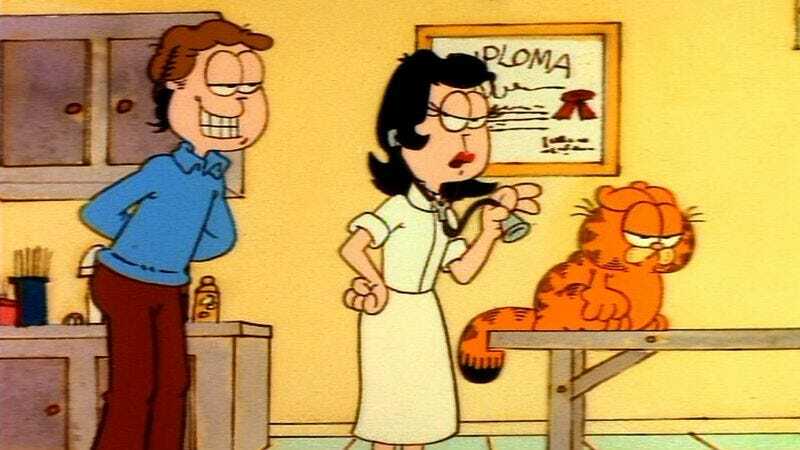 Poor Jon Arbuckle. Without Garfield, he’s nothing but a sad and lonely man. The website Garfield Minus Garfield has made a point to remove panels of the cat from each cartoon strip, and reposts the results displaying Jon’s horrific existential angst and depression. But YouTuber Jeff Stormer has taken the whole sad affair to another dimension, compiling scenes from the comic into a slideshow set to They Might Be Giants’ “Dead.” The result nearly brings tears.